What do those scientists on da telly really do? 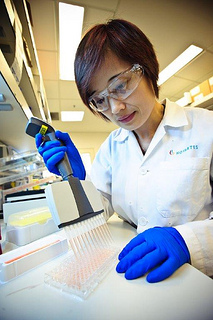 Scientists on da telly … no matter what the report is about… the scene is always the same… people in lab coats, wearing latex gloves, pipetting small amounts of liquid into tiny little tubes and, for the finale… someone working with their arms well immersed in a fume hood! 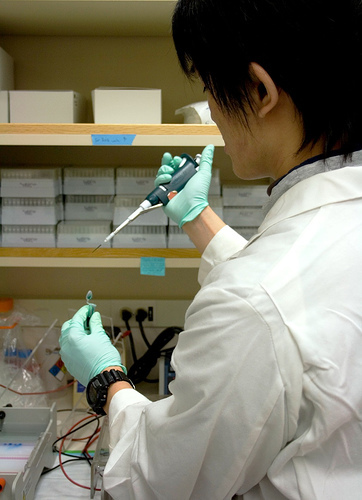 I roll my eyes and groan and start ranting at whoever is unfortunate enough to be sitting beside me on the couch… but, actually, yes, I did do all those things when I was in a lab… but there is more to it than that, honestly! So here is a post to right a few wrong and let you in on the secrets behind the lab door; what’s all that funny looking stuff and what do those scientists on da telly really do? Well, yes, you will find one of these on pretty much every occupant of the lab. 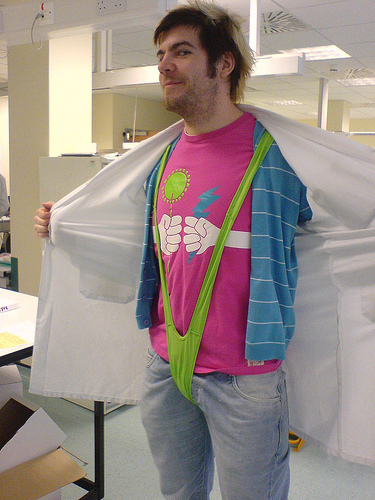 Scientists will tell you that they are to protect their clothing but really… they are to hide what lies beneath because, let’s be honest, how many scientists do you know with a good sense of fashion? 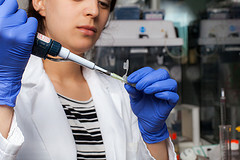 That funny looking thing that all those scientists are holding in their hand… in my day that was called a Gilson Pipette (Gilson for short because we were uber cool), named after one of the main manufacturers, but, I will concede, it has been a while, they may just go by pipette now, or perhaps some other brand name has taken over! These were pretty cool as they came in different scales, colour coded on the top so you knew just the right one to use! 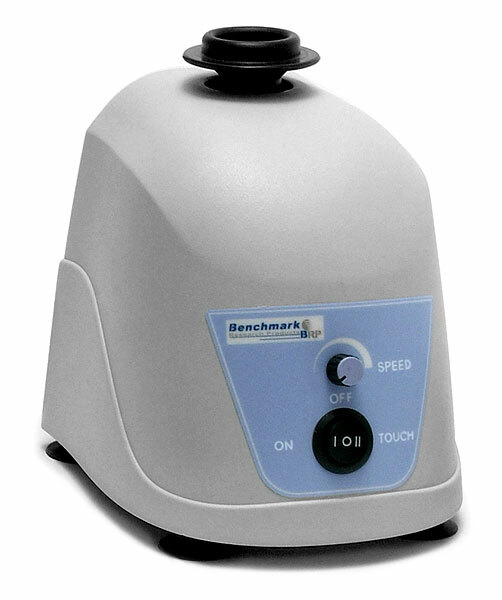 With just a little turn of the dial you could set them to the exact measure you wanted to use….right down to 0.2 microlitres! And if you really wanted to impress you could use the multi-tiped version… filling ten or more tubes in one go! Uhuh, the excitement when that one came on the scene was something else, let me tell you! EPPENDORPHS! Don’t you just love the sound of that… Ep.En.Dorphs! I’m telling you, there is a whole new vocabulary to learn once you don that white coat! Again I think these are named after the manufacturers, a company in Germany. Nowadays you can get them in all different colours – perfect to colour coordinated with your favourite lipstick your experiment. 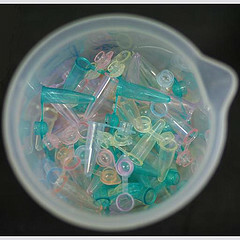 They come in mini-mini versions too, called PCR tubes, extremely cute but requiring some petite, nimble fingers for those oh-so-tiny lids. After opening and closing hundreds of these things the cuteness factor can wear off a bit! So once all those little tubes are filled, what happens next? Just like with baking, it is always a good idea to ensure everything is well mixed. First up… the vortex, just push down on the little rubber top and the entire contents of the tube, and every cell in your body, get a good shake up! One of those childishly amusing experiences that never gets dull. James Bond should have included one of these clever little gismos in his super gadget kit, for the perfect Martini every time. After the shake up its time for a little spin down. 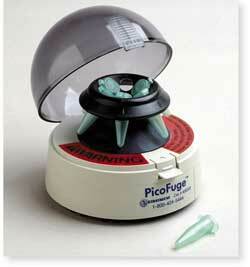 The centrifuge is the machine for the job, again coming in all shapes and sizes, my own personal favourite… the little picofuge…. in fact I love them so much, I want one for my kitchen counter. I am not even sure what I would use it for but I guess it just appeals to the geek within! So there you have it… next time you are watching science on the news you can see how many of these you can spot (hopefully not the flashing guy in the lab coat but the rest should be in view for sure). Of course this only covers the Irish version of the scientist… on the flip side of all this is the whole CSI scene… a must watch for all us geeky types although it elicits an equal measure of interest and satire. The super high tech,the instantaneous results, the lasers, the spraying, the torches and enough luminol to float the titanic! 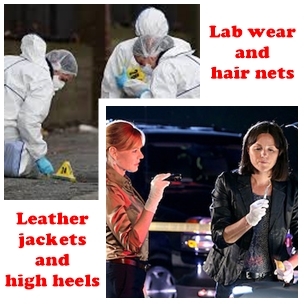 As for the crime scenes themselves… who knew you could investigate them in high heels and leather jackets… not a lab coat or a hair net in sight!